Most business school programs focus on the financial aspects of an business endeavor, and most specifically tend to focus on one simple parameter: Return-on-Investment, or ROI. 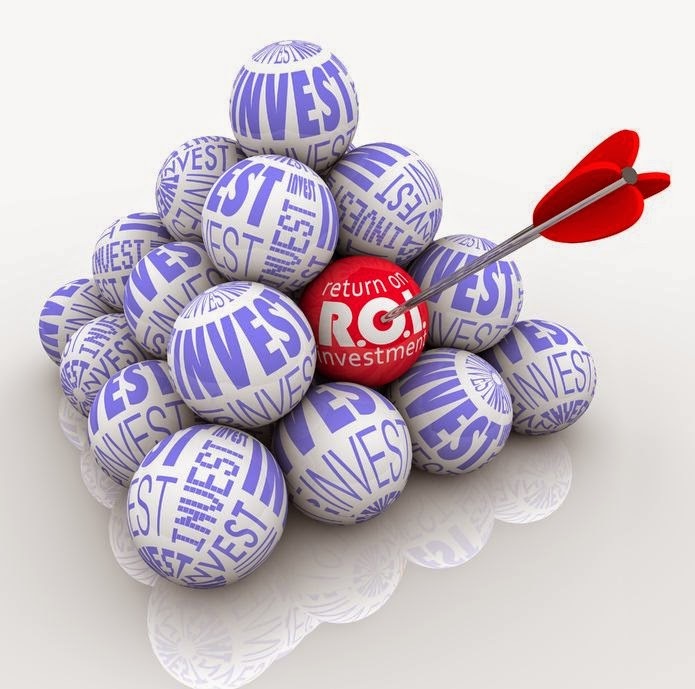 Specifically, ROI is determined by calculating the profit (or gain) from any investment or expenditure, subtracting the cost of that investment or expenditure, and dividing the difference by the cost of that investment or expenditure. While this is a great metric for determining actual expenditures’ returns, it does not really bode well when dealing with intangibles such as services, or activities such as sales, marketing, accounting, etc. A long time ago (30 years ago) I started measuring to a different metric, Return-on-Effort, which took into account how much time, energy, additional assets (such as people), and change any new project will cost and weighed those "costs" against how much easier, faster, or more efficiently you could perform the process by expending that additional effort, to which a formula evolved that will give you a good idea on what ROE is all about. Of course, you HAVE to quantify what the 'value' of the effort is, and that is the hard part. A good starting point is to calculate YOUR time and everyone else's at $1,000 per hour. When determining how to increase sales, improve market awareness, reduce costs, or go into different markets, keep this Samuel Clemens quote in mind, “If you have a difficult task, give it to a lazy man. He will find an easier way to do it.” The quintessential essence of Return-On-Effort!